Recently, a dentist reached out to me asking about a case. She was doing a root canal on tooth #13. On the radiograph, the tooth looked pretty straightforward, but as she discovered, just because it looks straightforward, doesn’t mean that it is! I run into so many surprise apical calcifications and curvatures every day that they’re no longer surprises at all. There are subtle curves and more drastic curves within teeth. It’s the subtle curves that will get you every time and will make you feel like you are doing something wrong. The key is to know how to troubleshoot these moments. The dentist sent me this image, a working length radiograph of tooth #13. One of the canals was close to patency, but I wasn’t convinced it was patent yet. The other canal was short, and therein lay her frustration. I told her that this kind of working length issue happens to me every day, and it’s important to know how to troubleshoot it because it never stops occurring. 1. Try smaller files. I live on 6 and 8 files. Is your 10 file stuck? Try something smaller to get you down to that apex. When things are really calcified, I find that a 21mm file will handle the calcification way better than a 25mm hand file; shorter files perform better in this situation. 2. Exchange your K files for C files. The C stands for cutting, so it will help you march through that apical calcification and get to your 0.0. Use this file in a pecking motion, as opposed to the “quarter turn pull.” Learn more about my Top 10 Favorite Tools for Endo. 3. If there’s a bend at the file’s tip, cut the bent part off and use the file again. In doing so, you’ll create a more active tip that will cut a bit more efficiently to get to the apex. Just don’t forget what is happening to your file; if you started with an 8 file, you’ve probably just made it a 10 file. This little trick may save you some cash too, so try it! 4. 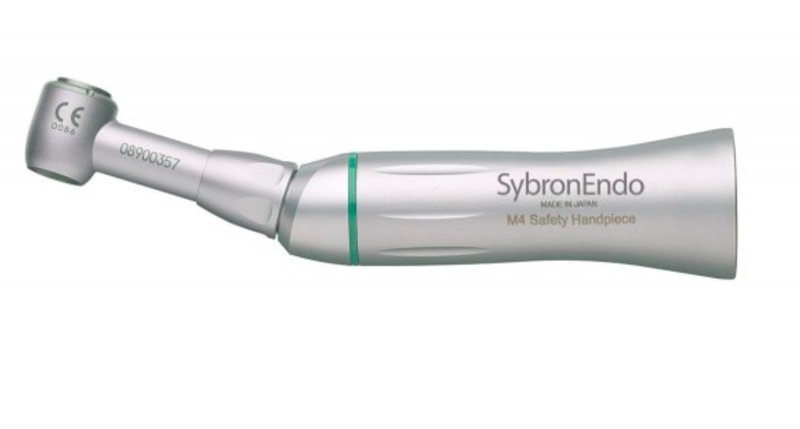 Use the M4 handpiece when your hands get tired. The M4 handpiece is such a handy tool when it comes to calcified canals. It turns your hand file into a rotary file, and I swear it’s freakin’ magic! Again, use it in a pecking motion to march down that canal. Here’s one from Kerr, but you can contact your dental supplier to get the best one for you. 5. Precurve your files. If there is a curve in your canal, a straight file may get stuck, so curve your file and see if that makes a difference. 6. Open your canals coronally. As you remove the coronal interferences, things will become a lot simpler for you, and your hand files glide to the apex with ease. 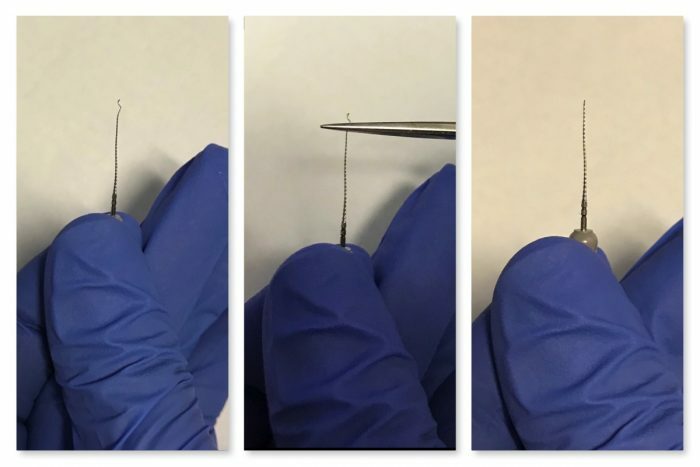 You may have to go back and forth a bit between your rotary and your hand files for this process to work. Patience is important, so don’t stress your files and take your time so that you avoid file separation. 7. Use some EDTA. Take a minute to let some EDTA soak in the canals and then work your files with the EDTA in there. 8. Get a fresh start. If none of these tactics work, then place some calcium hydroxide and call it a day. Sometimes all you need is a break from that tooth. 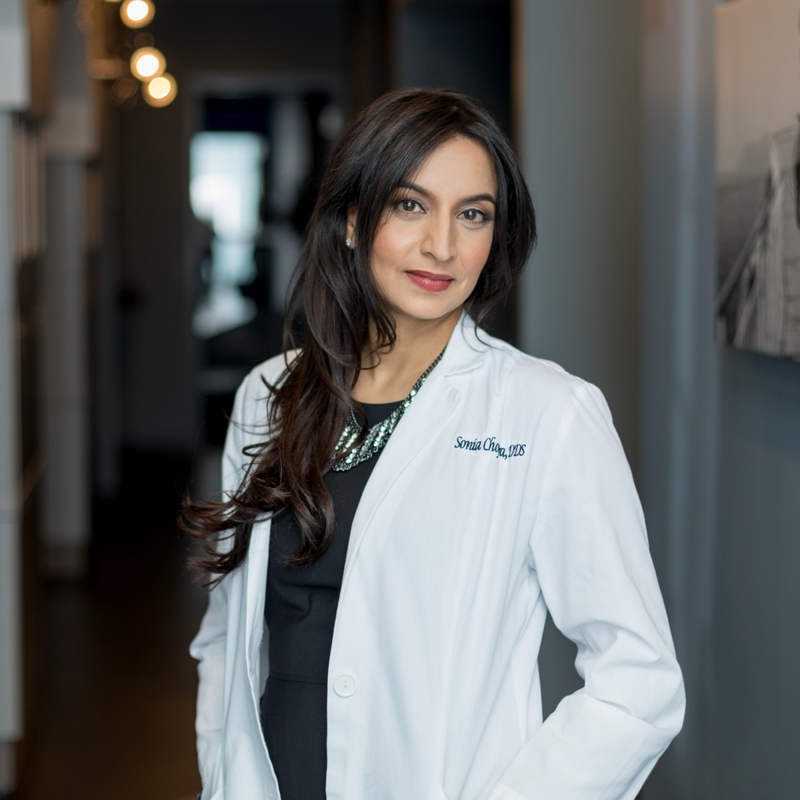 At the next appointment, you’ll have a fresh set of eyes to get you to your goal. I hope these tricks work for you when you’re facing surprise apical calcification and curvatures. 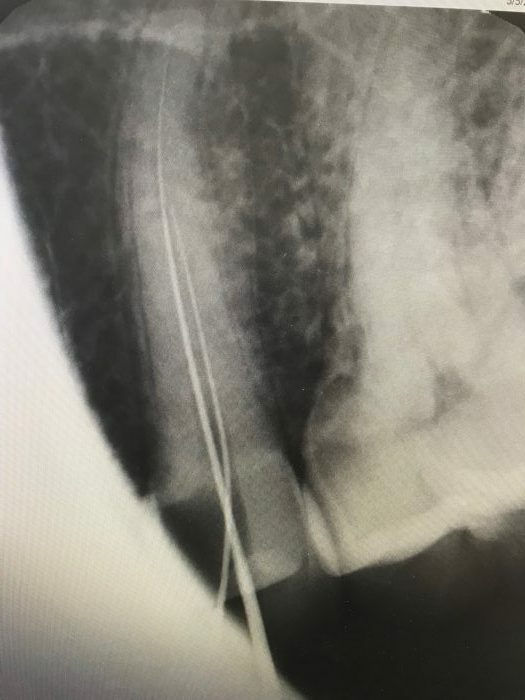 Just don’t forget how important working length and patency are for root canal success, and don’t give up too easily if you get stuck. Remember: your end game is to save teeth! Good luck, and happy root canaling! These are great suggestions! Thanks for sharing your knowledge. Thanks for all your support Meena! Thank you! So glad you got something from this! What do you use to cut a slightly bent tip of an instrument off with? Thanks for the blog and information. Terri – Any dental scissors you have should work.Thank you for following! These are such a simple but practical tips. Thank you so much Sonia for inspiration!!! Thank you for reading – so happy to help! Great tips. A question about using C files. Does your “pecking” motion include watchwinding the file at all, or is it purely in and out motion? Also, my understanding is C files are end cutting. Do we need to be concerned with ledging/perforating with these? How do we know we are still following a calcificed canal vs. ledging? I just found your website and love the tips you are sharing. Thanks again! Typically when it’s calcified I use a pecking motion because the calcification won’t allow me to watchwind. But I guess you could say there’s a slight bit of a watchwind when I use ANY file. But keeping the file straight in a blocked situation really helps. And there’s always a risk of transportation and ledging with any file, but with smaller C files there is less risk. There is a very typical feeling I call a “stick” with my hand file that lets me know I’m still in the canal. Small files, plus EDTA, will help you stay in the canal. Hello, recently I’ve received some advice to leave EDTA gel inside calcified canal.. have you ever tried that? And will it do any harm leaving it inside the canal for 5 days? Hi!! I don’t like to leave EDTA in the canals for two long because it will corrode your dentinal tubules. EDTA is something that I always wash out. Hope this helps.